Vico del Gargano is a peaceful village nestled high on a rocky promontory, looking out over the expanse of the Adriatic sea. 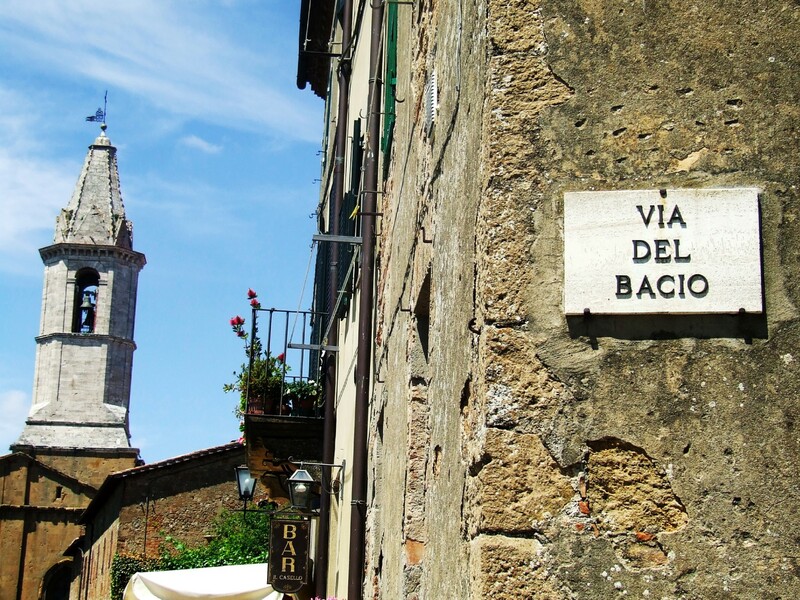 The narrow streets and ancient houses built one on top of the other have made this borgo a historical treasure, which can only be reached on foot. As you meander stone the lanes, you will discover the timeless delicacy of an authentic Medieval town, with its original neighborhoods still in place: Terra, Civita and Casale, which have retained their medieval layout, complete with stables, underground oil presses and characteristic dwellings.The true narrators of this extraordinary place are the ornately decorated arched entryways and the numerous churches scattered all around the borgo, which continue to protect the traditions of the past. Exploring the Medieval lanes, you will find the local women chattering on their stoops, with a smile and a “Buon giorno!” for everyone, and it is not uncommon to be offered an orange or a lemon as you walk along: a hospitable way to greet a newcomer and an everyday gesture from times long past. 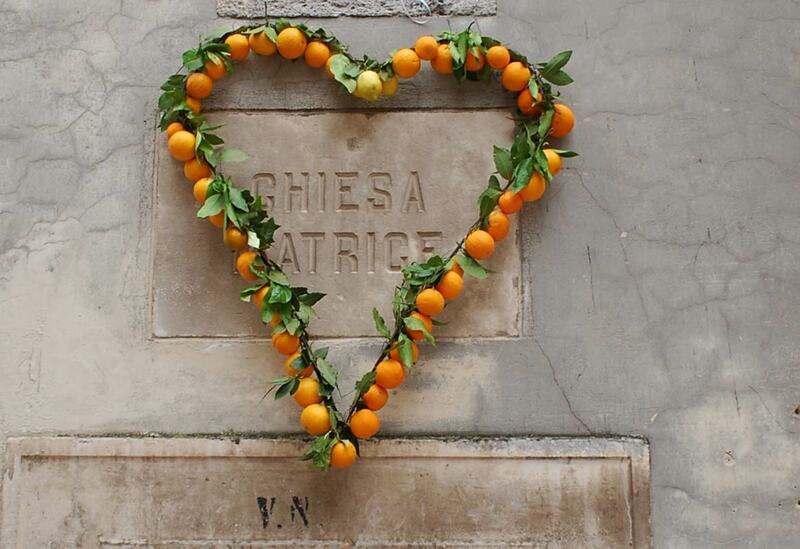 The fragrance of citrus fruit fills the streets, the churches, and wafts out of the windows…citrus fruit abounds, all in preparation for decorating Vico on St.Valentine's Day, where legend has it that whoever walks these romantic streets finds love, and why not believe it? The territory of Vico del Gargano has been inhabited since prehistoric antiquity, but the foundation of the village dates back to 970 AD, when a group of Slavic conquerors arrived here, led by the military leader Sueripolo.The first written testimony of the Castrum Vici was drafted in 1113, when the Normans decided to buy the land to build their fortress. The Castle of Vico was one of the favorite retreats of the Emperor Frederick II, who enjoyed coming here for hunting events and to host his renowned and splendid banquets. In the age of feudal rule, first under the auspices of the Caracciolo family and then the Spinelli family, Vico enjoyed an expansion of architectural and cultural development. This pursuit of knowledge culminated in the era of Enlightenment, when the city founded the “ Accademia degli Eccitati” and erected the Tree of Freedom. From 1800 onwards, life in the city of Vico del Gargano took the same rocky historical course as the entire south of Italy. The Congress of Vienna brought the Bourbons back to the throne and Vico openly sided with the Spanish rulers during the “Risorgimento" and the turbulent years leading to the unification of Italy. This was also the period that the city began the cultivation and trading of citrus fruits, launching a commercial activity that has become an integral part of the city’s culture and economy. In San Menaio, the Aleppo pine woods touch the fine white sand of the beach, one of the most beautiful beaches of the Apulian coast; its flowing line is interrupted only by the “Torre dei Preposti” a former defense tower that separates the old town center of San Menaio from the new town which is called “murge nere", because of the two dark rocks rising out of the water on its coast. If you browse through the immense archive of Naples, you will come across the first document mentioning Vico del Gargano. We are shortly after the year 1000, the Normans have arrived in the south and have implemented a wide reaching defensive operation all over southern Italy, with no exceptions. At the Castrum Vici they build a mighty fortress, which is “integrated" into the first ring wall, built around the year 1000. 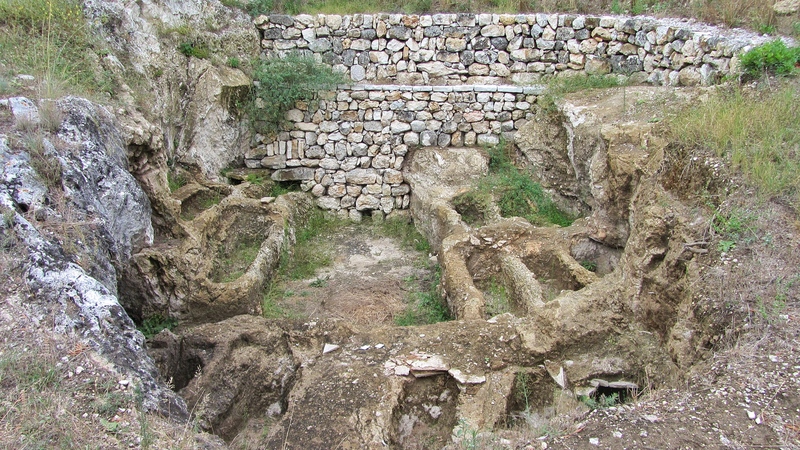 Nevertheless, Vico del Gargano continues to undergo brutal assault by the marauding Turkish invaders and is therefore equipped with a second system of ring walls. The years pass and in 1240, the Hohenstaufen Emperor Friedrich II arrives in the Gargano region and falls in love with the charming borgo and its castle. Puer Apuliae (Puglia's son)transforms his new home in both appearance and essence: no longer serving the primary function of defense, the castle is remodeled to resemble an elegant patrician residence, and becomes a prized location for the pageantry of his hunting parties and sumptuous banquets. Over the centuries, the castle has undergone further important alterations, until it finally reached its current appearance in the 14th century. In 1856, the fortress was sold by the Savoia family in order to recuperate the military expenses accrued in that period. Today, the castle has renounced its original entrance, in favor of an entrance on the north-western side; Pointed arches lead to the entrance to the courtyard, in the middle of which there is a fountain. Not far from it there is a landing with two steps, which made it easier for the knights and ladies to mount their horses. 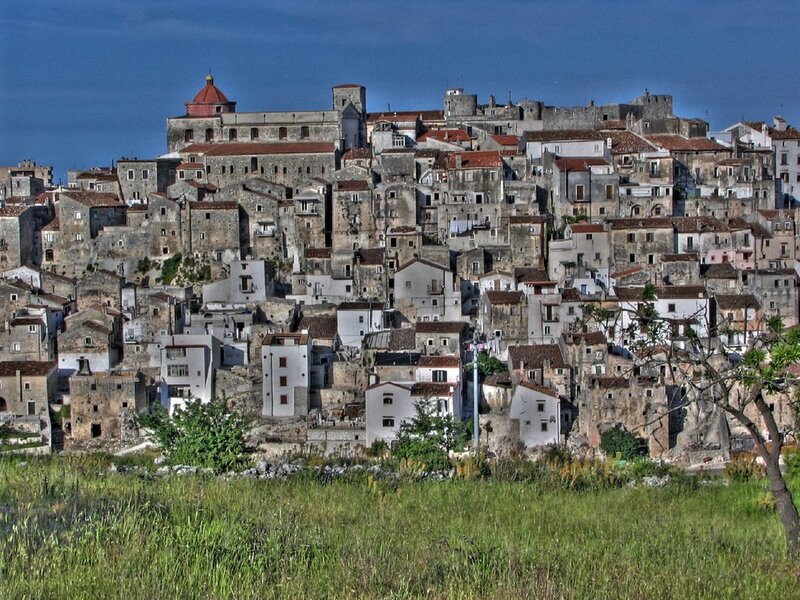 Vico del Gargano is also known as the site of a hundred churches, because of the many religious buildings scattered throughout in its ancient streets.The most magnificent of all them the Church of the Bellissima Vergine Assunta, the oldest church in this Apulian village. 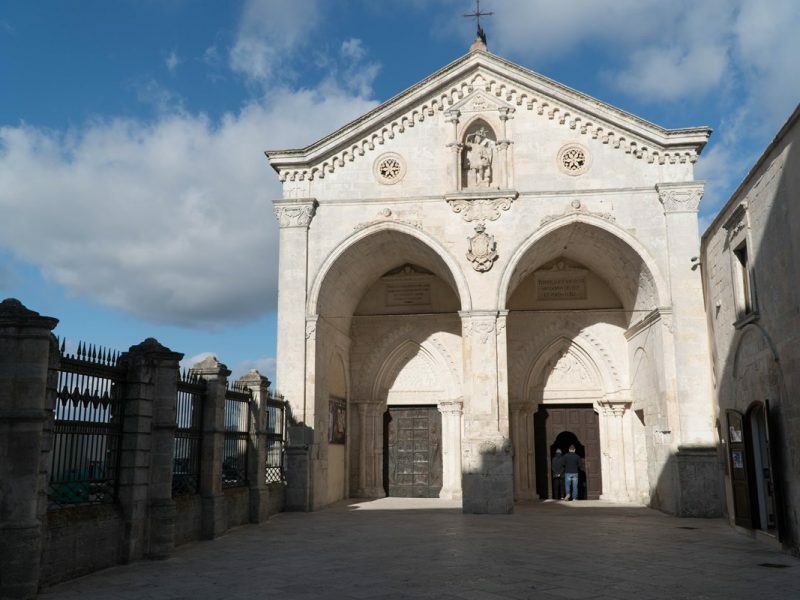 The Mother Church of Vico del Gargano has none of the elaborate ornamental work usually found in Apulian churches, and both the exterior and the interior are graced by an elegant, essential simplicity. The outer facade is augmented by the square bell tower and a ribbed cupola of a rich Sienna red. The interior of the church is brightly illuminated by the many windows running along the perimeter of the exterior, with the naves separated by arcades. Eleven marvelous altars grace this church, some of them decorated in Baroque style. The Umbra Forest is indeed a forest in Puglia, and not in Umbria. It probably owes its name to the Umbrians who once lived in the area. The dense treetops of this lush, shady forest guard an immense heritage of biodiversity. This forest is crossed by 14 paths and is the ideal retreat for those who love to do sports in direct contact with nature or just want to observe the daily routine of the many animals living here. On hot summer days, the Umbra Forest is the ideal place for a picnic, to escape the hustle and bustle and take a leisurely stroll to admire the small natural lake surrounded by virgin wilderness. 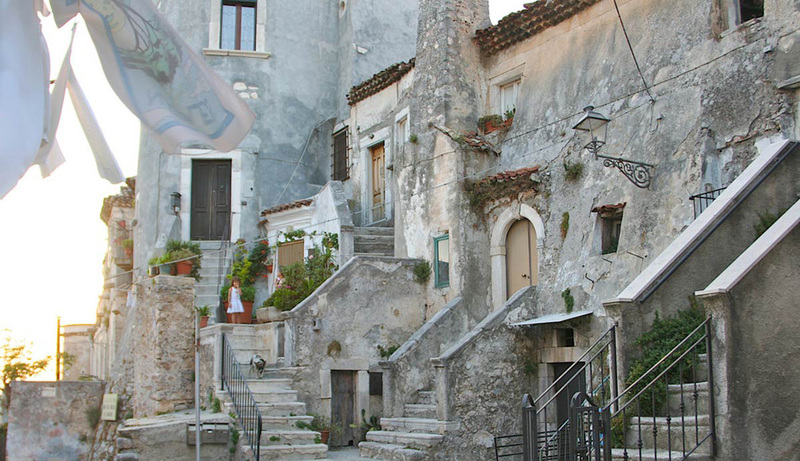 Vico del Gargano is the borgo of love. The sweet passion of love is celebrated here, in the purest form of its essence, on the 14th of February, the day of the Holy Patron Saint Valentine. The streets of this small town are adorned with citrus fruits and orange blossoms, and legend has it if you pick a fruit from the festivity’s decorations on Valentine’s Day and give it to the person you desire, it transforms into an elixir of love. Be that as it may, Vico del Gargano is certainly a privileged guardian of many tender secrets of love. The Alley of Kisses, just a few steps from the Church of Sant'Andrea, guards centuries of smoldering gazes, whispered words, and silent kisses. The love stories of this place are all safeguarded within the ancient stone walls of this street, which has become “a must” for couples seeking a romantic experience as a souvenir. For a few years now, a public event has been organized on Valentine’s Day, called “Kissing in Vico", and it has already become a romantic tradition that attracts lovers of all ages to this ancient town. Orange’s are not just from Sicily! This is what the inhabitants of Vico del Gargano stridently proclaim, proudly promoting a tradition that has been part of their culture since the 1800’s. In fact, together with Rodi Garganico and Ischitella, Vico is the most important producer and trader of citrus fruits in Puglia. 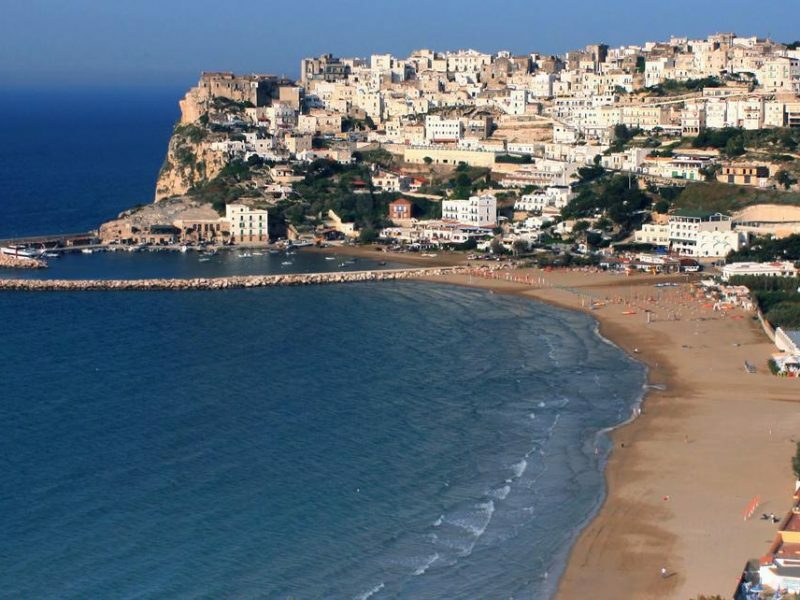 Set between the Umbra forest and the Gargano National Park, Vico’s citrus orchards grow a prestigious variety of species, such as the “Gargano Blonde Orange", the “Duretta" and the “Femminello", which is the most ancient variety of lemon in Italy. The superior fruit from these orchards has accompanied the meals of innumerable historical figures and graced the tables of royalty. Do you know famous people of this borgo? Contact us! Do you know typical recipes of this borgo? Contact us!